The Core Was Killer Today! Man what a day, I got out of school and went straight to tutoring. Luckily no one showed up so I was able to get all of my homework done for the hour I was there. After that I came home and hit the weights. Today marks the first day of the strengthen part of the system. Boy is this going to be painful! I must of done 900 sit ups and then everything else was awesome. The best part is it only gets harder, but because this marks the beginning of my lights out season I must start off with a hard effort to build my self strong! I have big goals and want to achieve them and the only way is by sweat and pain, lots of pain. In the end it will be worth it, I did have some time to relax for a little bit though which was very nice. Its good to defrag a bit and let the mind wind down for the night. Tomorrow its back on the bike and I can’t wait! 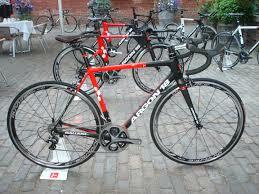 Speaking of bikes I can’t wait for my new Argon 18 Gallium Pro flagship to come. Its going to be lightning fast, all the more reason why I am so excited, not to mention that I will be moving from a very nice 2009 frame to a very nice 2014 frame, pretty sweet if you ask me!